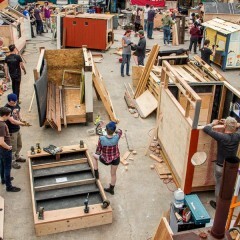 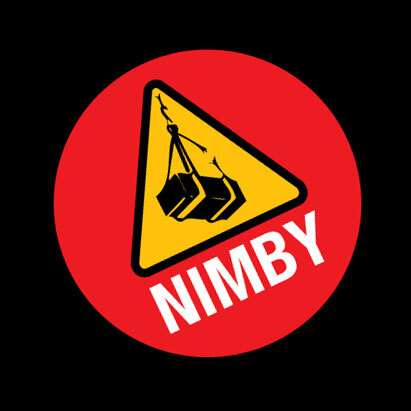 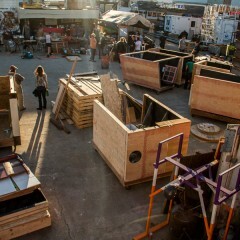 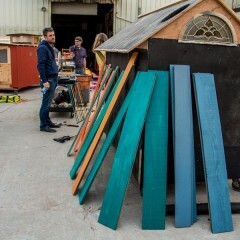 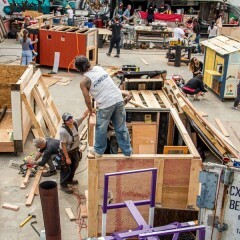 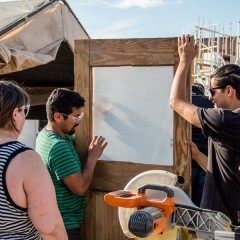 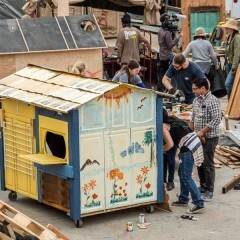 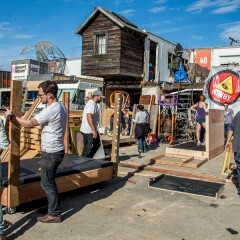 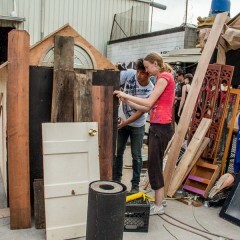 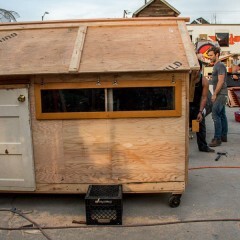 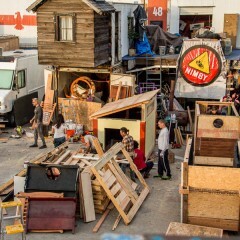 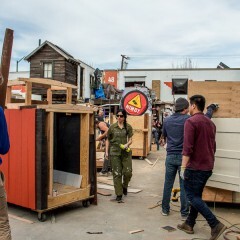 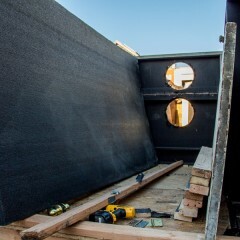 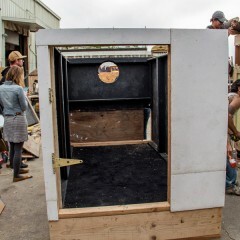 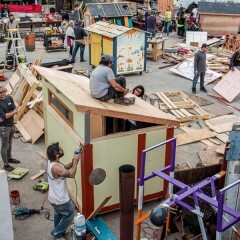 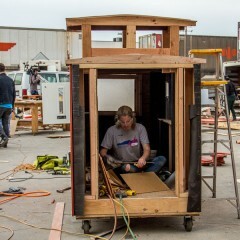 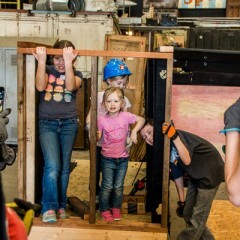 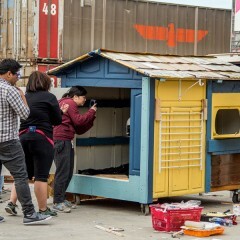 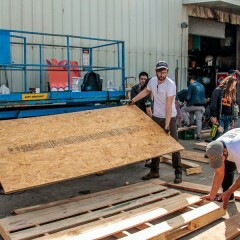 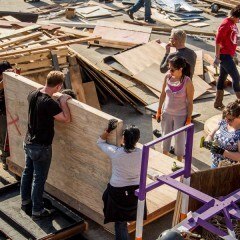 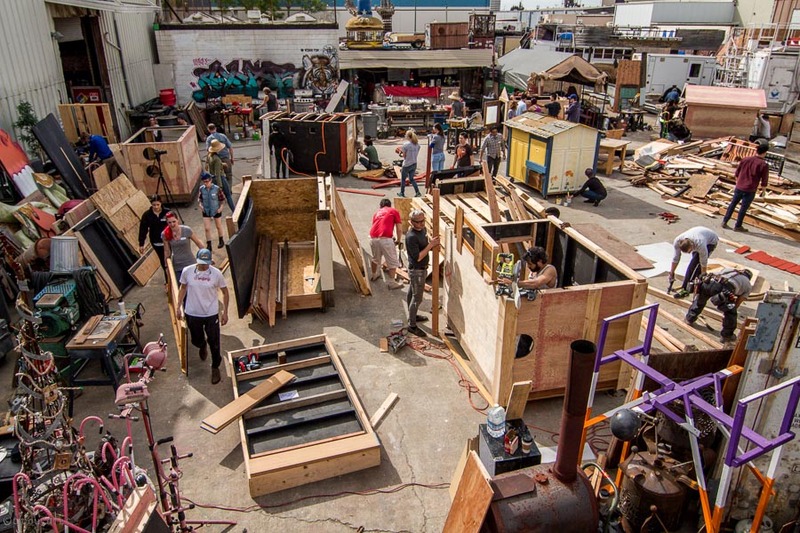 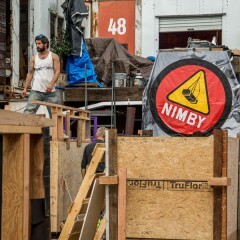 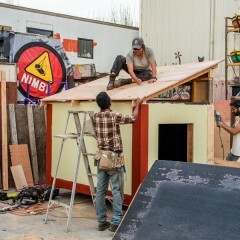 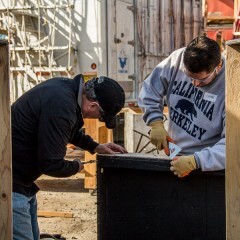 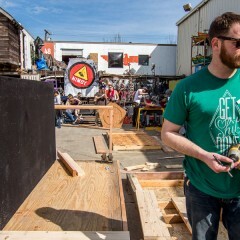 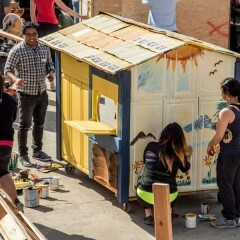 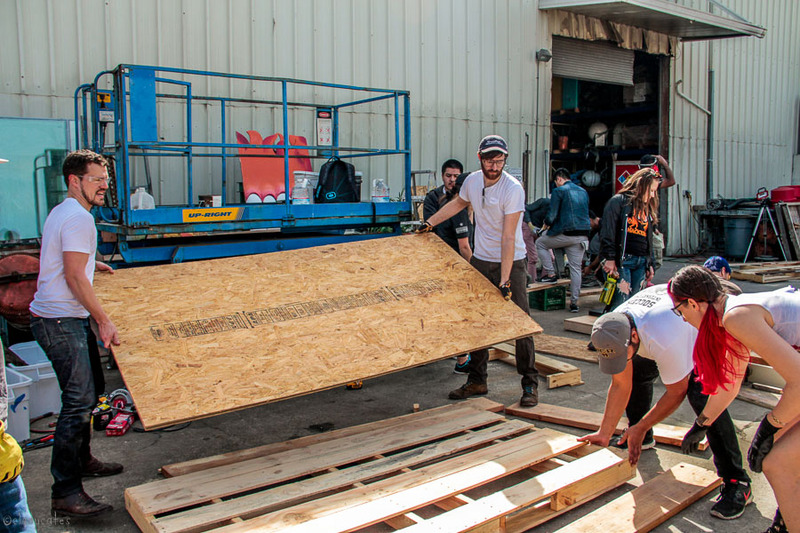 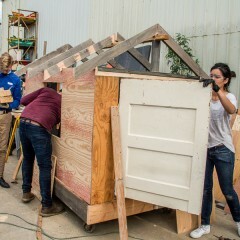 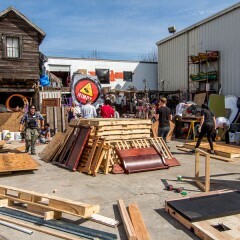 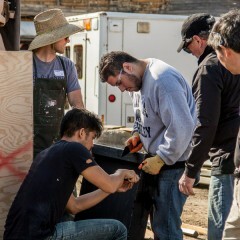 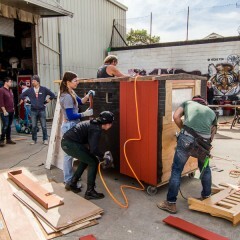 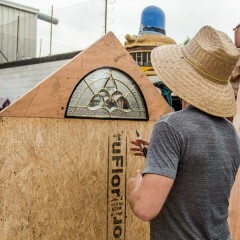 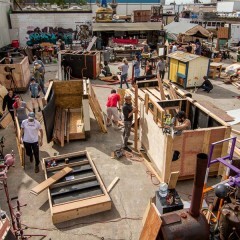 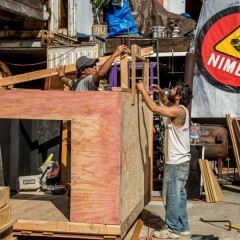 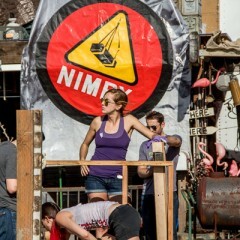 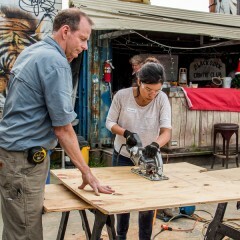 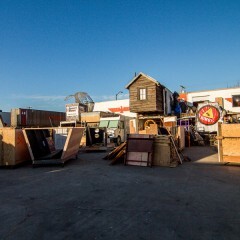 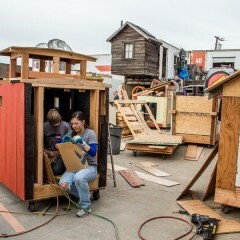 Over the last weekend in February, dozens of volunteers came out to join Oakland based artist Greg Kloehn at NIMBY to build mini homes for the homeless. 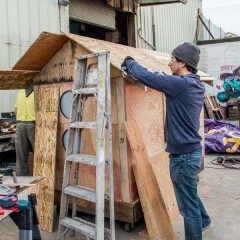 A continuation of an ongoing project that’s seen Greg create dozens of mini-homes over the last several years for homeless folks in the Bay Area, the build workshop utilized reclaimed materials from the streets of Oakland, scrap from other artist’s projects, and even materials obtained from a Super Bowl After Party. 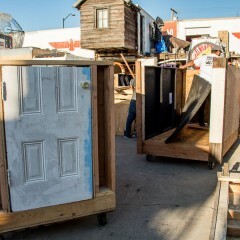 At the end of the weekend, six homes were nearly completed with a few more in the beginning stages. 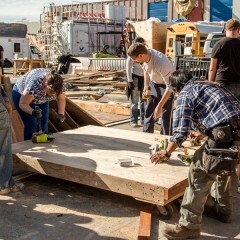 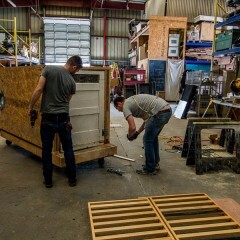 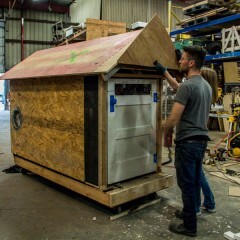 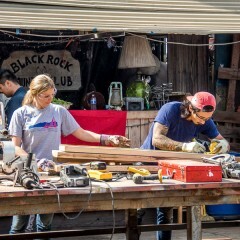 Since the initial build work shop, volunteers have been returning to help Greg complete the homes and deliver them to folks living on the streets. 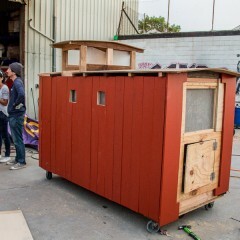 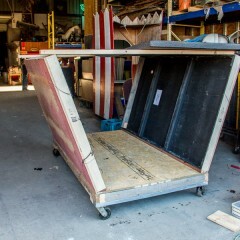 You can find more information on this project over at Greg’s website. 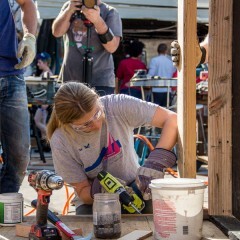 Special thanks and appreciation to Vanesa Dževdetebgović for all her hard work organizing the Build Work Shop.